When buying a crib for your baby, be sure it adheres to all current safety standards. 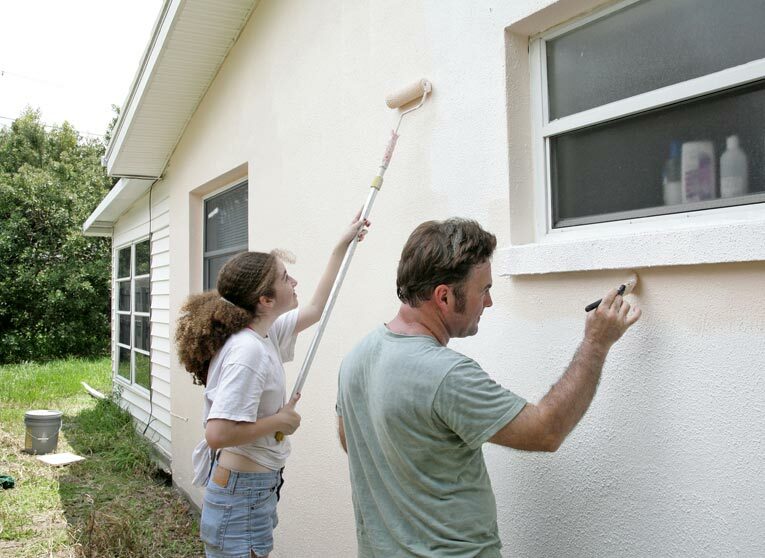 Outdated cribs may not! 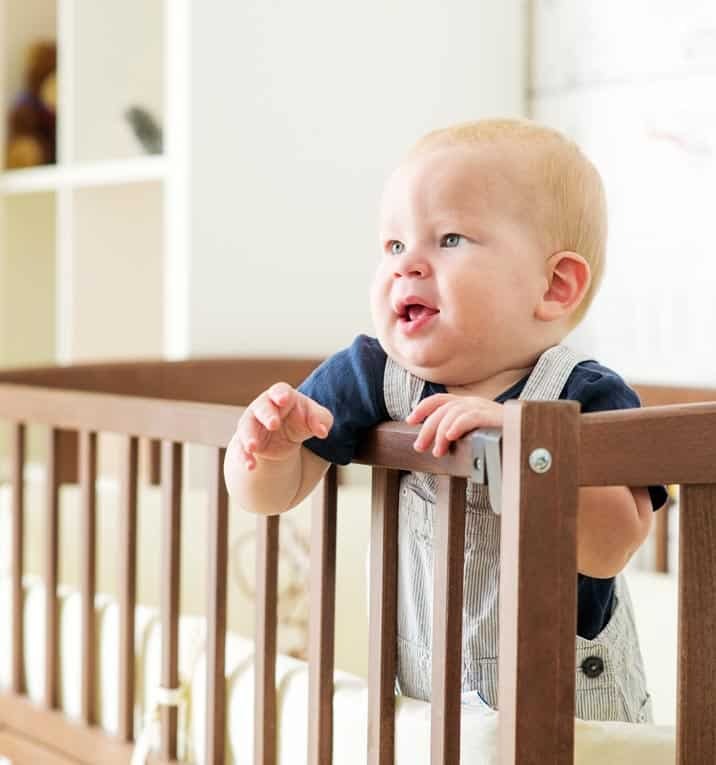 The U.S. Consumer Product Safety Commission (CPSC), a federal agency founded in 1973, regulates the manufacture of cribs and permanent and portable cribs, which means that any new one you buy should meet its safety regulations. 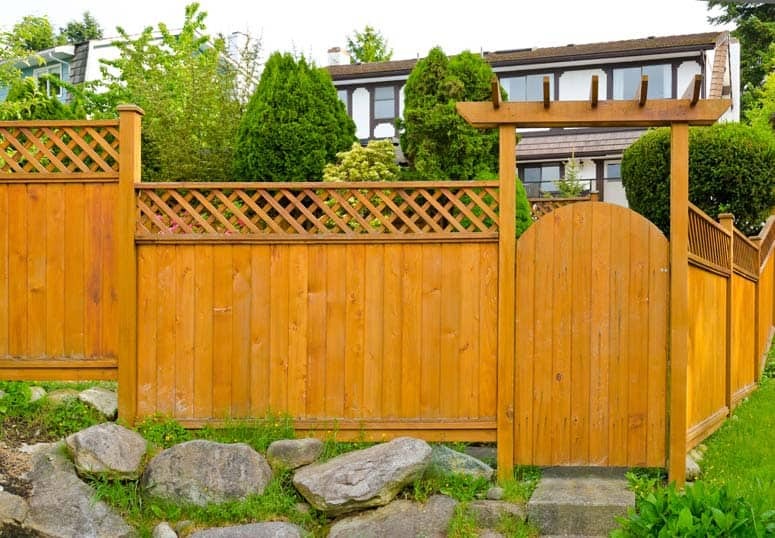 However, the CPSC doesn’t necessarily catch everything, and missing something like a defect in crib construction can turn out to be devastating. A baby’s bed serves as a cozy home for both sleep and play. By far the favorite bed for today’s baby is the crib: It’s convenient, practical, and comfortable up to the age of about 2 1/2. And, because it comes under federal safety regulations (which were first enacted in 1974), it is generally the safest baby bed. Check that the crib you plan to use has the following safety features, particularly if it is second-hand or custom-made. 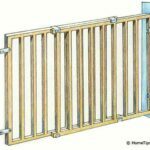 Slats are spaced no wider apart than 2 3/8 inches. Some babies’ bodies can slip between wider spaces. End panels (or headboards) don’t have decorative cutouts that might entrap a baby’s head or other body part. The distance from the mattress support in its lowest position to the top of the end panels or rails in their highest position is at least 26 inches to prevent baby from falling out. The minimum safe distance from the mattress support in its highest position to the top of the drop side in its lowest position is 9 inches. The crib has no corner posts, even if less than an inch high. These can catch on children’s clothing or anything that might be around a child’s neck. Interior dimensions are between 51 3/4 and 53 inches long and 27 3/8 and 28 5/8 inches wide. The latching mechanisms or locks that release the drop side are well out of baby’s reach and require dual action for release, or at least 10 pounds of force. All hardware is free of sharp edges. Rails are supported properly at corner posts so they cannot drop or be pulled down. In this regard, please note that 1 million Simplicity cribs have been recalled because of faulty or improperly attached hardware and refer to this CPSC bulletin. Remove the plastic wrapping from the mattress and any other parts before use; tie the wrapping in knots and discard in the outdoor trash. Never use plastic bags as mattress covers because the clinging film can suffocate babies. 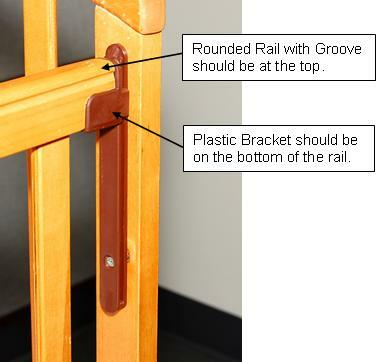 Always lock crib rails in their upright position when baby is in the crib and unattended. Until baby can stand, line the crib interior with bumper pads that tie or snap in place in at least six places. When baby can stand, remove the pads so they can’t be used for climbing out and lower the mattress to its lowest position. A child who is 35 inches tall should graduate to a low toddler’s bed. Cradles, bassinets, and portable beds are alternatives to cribs for the first few months of life, but you must prevent baby from tumbling out! Bassinet can be a cozy bed for naps for a tiny baby, but isn’t right for regular sleeping because it is too small and can be tipped over. On a suspended cradle, check for a wide, sturdy base; secure pivoting hardware; and a design that lets you lock the cradle in a non-swinging position. 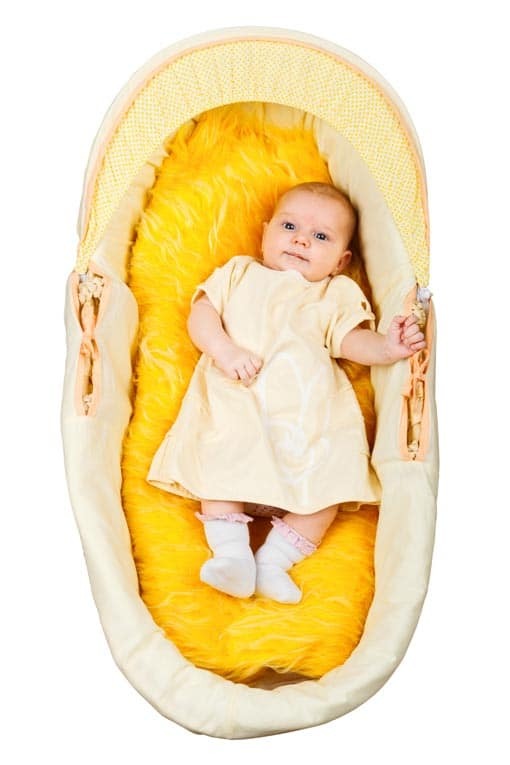 No matter which design you choose, discontinue use of the cradle at 3 months or when your baby can raise up. Wicker bassinets. Also not regulated completely, bassinets, like cradles, are safe to use only for newborns under 3 months. Make sure that the lining is securely attached and free of ribbons or buttons and that there are no loose, protruding reeds. 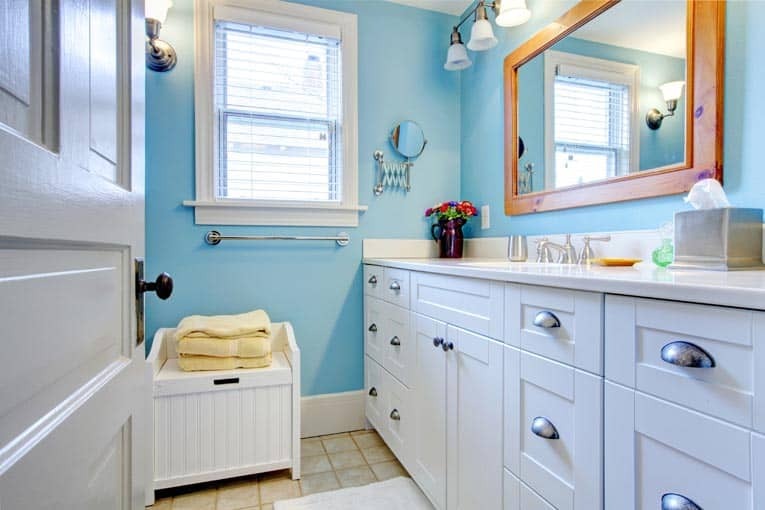 If the bassinet is second-hand, look it over carefully, following the guidelines for second-hand cribs. Portable cribs. Measure to make sure that the distance from the mattress support in its lowest position to the top of the side in its highest position is at least 22 inches. 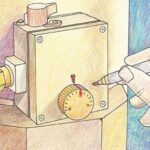 Make sure that any folding hardware locks securely and cannot collapse. Keep in mind that a cradle, bassinet, or portable crib should never be used for transporting a baby in the car. It is not a safe substitute for an up-to-date car seat. 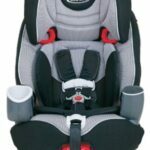 On November 23, 2009, the U.S. Consumer Product Safety Commission (CPSC) announced the recall of about 2.1 million drop-side cribs sold in the United States and Canada. With these cribs, the drop-side can detach from the crib, allowing a dangerous gap that may entrap and suffocate infants. Crib rails should be assembled as shown. The drop side on these cribs is attached with plastic hardware that can detach. If this occurs, a dangerous space is created between the mattress and the crib wall—a space that is large enough for an infant to drop through and fall to the floor or become trapped between the mattress and the side. Cribs sold by Stork Craft Manufacturing Inc., of British Columbia, Canada, between January, 1993, and October, 2009, should not be used. The recall includes approximately 147,000 drop-side cribs sold under the Fisher-Price brand. Those made by StorkCraft with the Fisher-Price logo manufactured between October, 2007, and December, 2004, have also been recalled. Major retailers who have sold these cribs include BJ’s Wholesale Club, J.C. Penny, Kmart, Meijers, Sears, USA. Baby, and Wal-Mart stores. The cribs have been sold online by Amazon.com, BabiesRUs.com, Costco.com, Target.com, and Wal-Mart.com. If you suspect that you own one of these cribs, locate the crib name, manufacture date, model number, country of manufacture, and the manufacturer’s name, address, and contact information on the assembly instruction sheet attached to the mattress support board. Contact StorkCraft with this information via phone or its Web site, www.storkcraft.com. Be advised that the Web site may be overloaded with visitors. This is not the first time drop-side cribs have been recalled. Other 2009 recalls have included 400,000 drop-side cribs made by Simplicity and 600,000 drop-side cribs made by Delta Enterprise. Because drop-side cribs are inherently dangerous due to multiple moving parts, safety advocates recommend not using them at all. 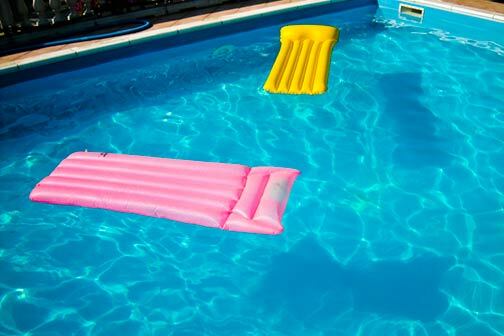 Is Your Swimming Pool a Death Trap?